The most awaited part of Jericho and Kim’s love journey is happening today. May 1, 2014 is the schedule of their wedding and it will take place in Boracay. We know that Jericho is so busy with his taping on “The Legal Wife” but still he manages to give time to her relationship and marriage preparation, only, according to reports, he feels bad knowing that he is so busy and he wished he had more time spent for the preparation. Jericho expressed his excitement for the wedding. The thing is he and Kim are practicing on their own with regards to the wedding rites by using a towel as a veil. In one of their practices, Kim cried saying “it feels so real.” It only indicates that the two are really excited for their wedding. Kim and Jericho’s common denominator is surfing. Both of them love surfing and their wedding reception will be in a garden in Boracay. Jericho said that it would be a small wedding and the ones who are invited are their families, friends and the people who were involved in their relationship. Since Jericho is so busy with “The Legal Wife,” they have agreed to postpone their honeymoon and eventually resume on June or August, they will have to talk about it and there is no revelation with regards to the place where. Jericho learned a lot from “The Legal Wife” and that is something that he is going to apply after the wedding. It is for better or for worst for both of them. The fans are waiting for updates on their wedding today. 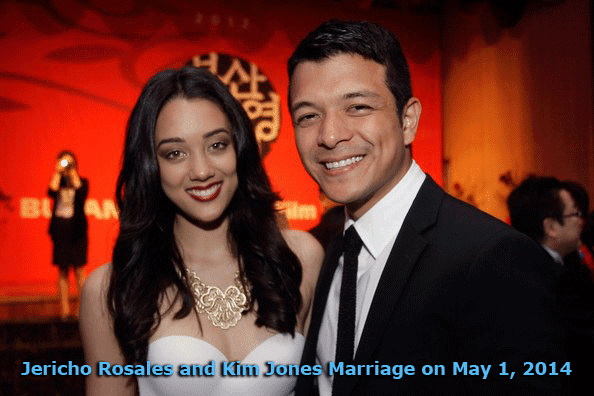 We will surely be updating you on whatever news that we will gather on Jericho-Kim’s wedding. Stay in this site and you will surely be prompted with the freshest news in town.